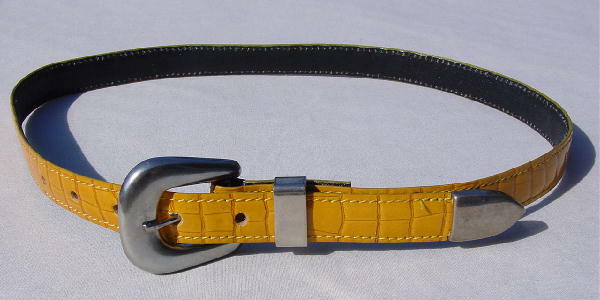 This bonded leather belt has an alligator pattern in a honey-tangerine color and was made in the USA. It has a silver-tone buckle, tip, and loop. It's a great color match to the purse. first hole 28 1/4", last hole 24 3/4"
This honey-tangerine purse has a silver-tone opening rim and round bypass closure. It has a black fabric lining with an interior zipper pocket. 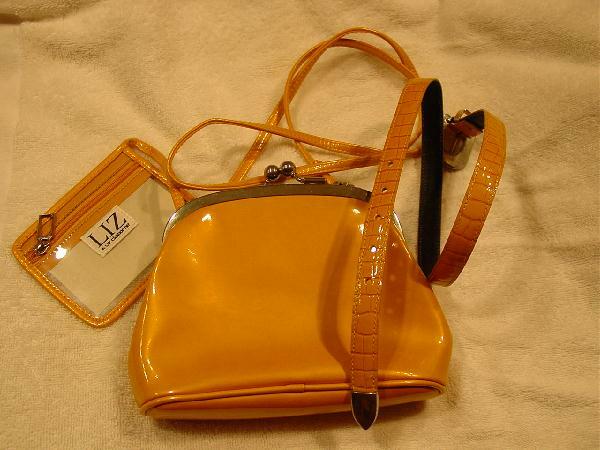 There is also a color matching attached zipper change purse that has a clear plastic center. 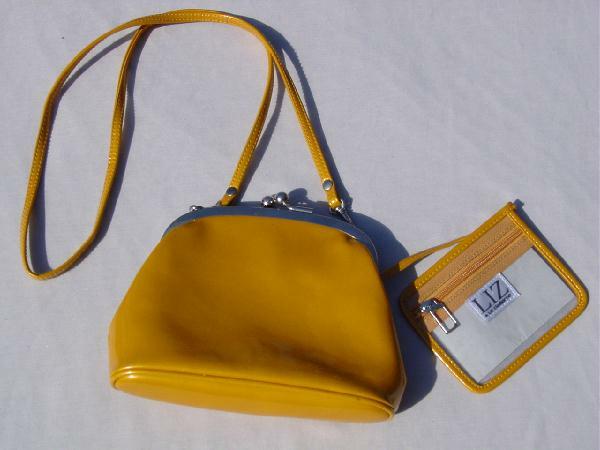 It has a 46 1/2" long shoulder strap which can be detached so you can carry the purse as a clutch. The last two pictures show a more accurate color. The turquoise, yellow, and green geometric figures scarf is a great accent piece to this set.